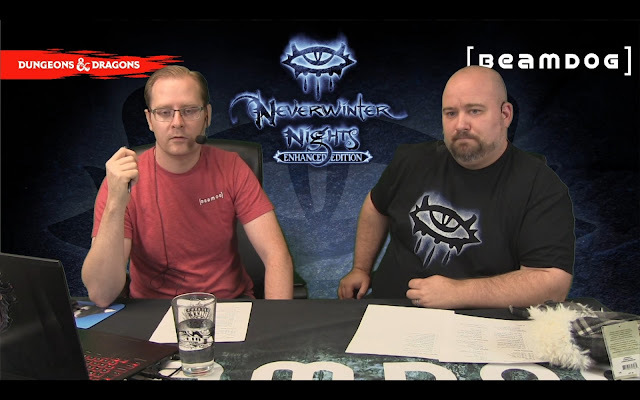 During today’s livestream Beamdog Marketing & PR Manager Lee Guille and Producer Luke Rideout shared the latest news on Neverwinter Nights: Enhanced Edition and Infinity Engine games. Luke talked about what brought him into the game development and how he sees the future of the Enhanced Editions. PAX West is starting in one week’s time! Beamdog panel will be on Saturday, September 1, 2018 at 1 pm PDT in the Hydra Theatre, and livestreamed on Beamdog’s Twitch Channel and on PAX2. Don’t miss D&D announcements, portrait prizes and secret guests! RSVP to the livestream on the Eventbrite or Facebook events! If you’re local to Edmonton, we’ll see you at Edmonton Expo in September! 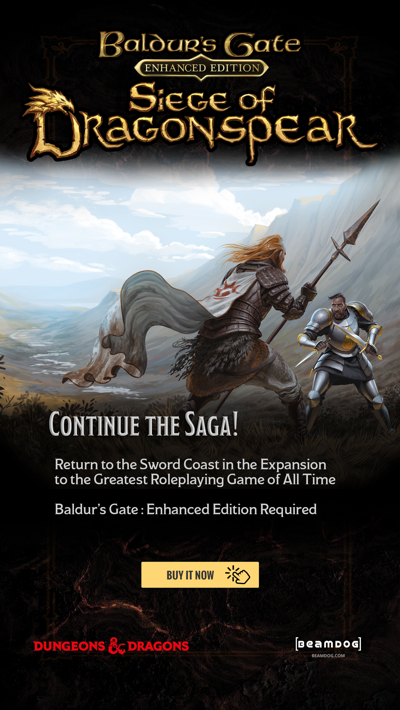 Sign up for the Beamdog newsletter! Everyone who’s signed up till August, 28 has been entered into a draw for their very own Baldur’s Gate style portrait that may make an appearance in the Enhanced Edition family of Beamdog games. The Fanatical Summer Sale is in full swing! Beamdog games, soundtracks, and DLC are on sale for the next 8 days! Grab them at a great discount, and enjoy a summer adventure! We’re hiring! Keep your eyes on our jobs page for more vacancies in the near future! The Mac App Store builds of the 2.5 patches for Baldur’s Gate: Enhanced Edition, Baldur’s Gate II: Enhanced Edition and Icewind Dale: Enhanced Edition need some QA testing. It’s been a while since our last update there, and we want to make sure everything will be working properly! After bringing the 2.5 patches to the Mac App Store we’ll be looking at Planescape: Torment: Enhanced Edition. The 3.1.4 patch for PST:EE released on Steam will finally come to other stores. Our players have waited a while for the 2.5 series of patches for Baldur’s Gate: Enhanced Edition, Baldur’s Gate II: Enhanced Edition and Icewind Dale: Enhanced Edition. We recognize 2 years is a long time. We’ll continue fixing bugs and start releasing smaller updates. Android users, we’re hearing your voices about a fuzzy picture on certain Android devices. This was a fix for those devices that previously couldn’t handle the games’ performance on certain resolutions. We’re looking at ways we can fix the issue. During the production of Baldur’s Gate: Siege of Dragonspear we used an internal tool which helped with the process of creating BAMs (it made creature animation conversion from 3D to the 2D BAM format easier). We’re working on updating this tool and plan to release it to the community. With this tool modders will be able to create new mods for our Infinity Engine games easier. Improving the Translation Tool for our games is on our to-do list. If we ever do any new content for Infinity Engine games, it’ll take a while. Our main focus is fixing bugs and making modding easier. We’re interested in improving UI for Baldur’s Gate: Enhanced Edition and Baldur’s Gate II: Enhanced Edition. We want players to be happy with our games, and want to incorporate their feedback. We’re studying the current feedback on UI and trying to find the best solution. We’re still working on bringing Neverwinter Nights: Enhanced Edition to GOG. Our NWN:EE developers are fully dedicated to making a GOG build, so there’s no new Development Build this week. 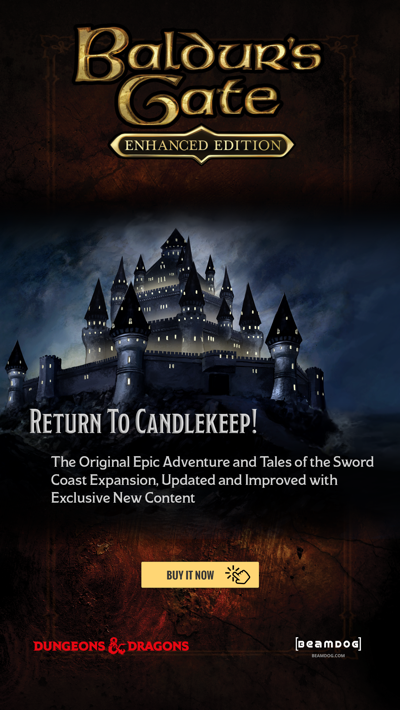 Neverwinter Nights: Enhanced Edition on mobile is looking good internally, most of the game functionality is already in, but UI still needs some love. A lot of work we’re doing for NWN:EE on mobile will also be useful for the PC version, and many improvements on the tablet version will be reflected in NWN:EE for PC. Removing the 256 limit on classes in Neverwinter Nights: Enhanced Edition is something we can look into, but we have to be careful about not breaking other things by this change. Excited for what’s next? During the Friday stream next week Luke and Kristin Warren, our QA lead on Infinity Engine games, will provide an in-depth look into the engine. On September, 1, tune in for the special PAX West stream! Beamdog is headed to PAX West next week to mingle with gamers, give away prizes, and reveal what’s to come at the official Beamdog PAX Panel. The panel will be on Saturday, September 1, 2018 at 1 pm PDT in the Hydra Theatre, and livestreamed on Beamdog’s Twitch Channel and on PAX2. 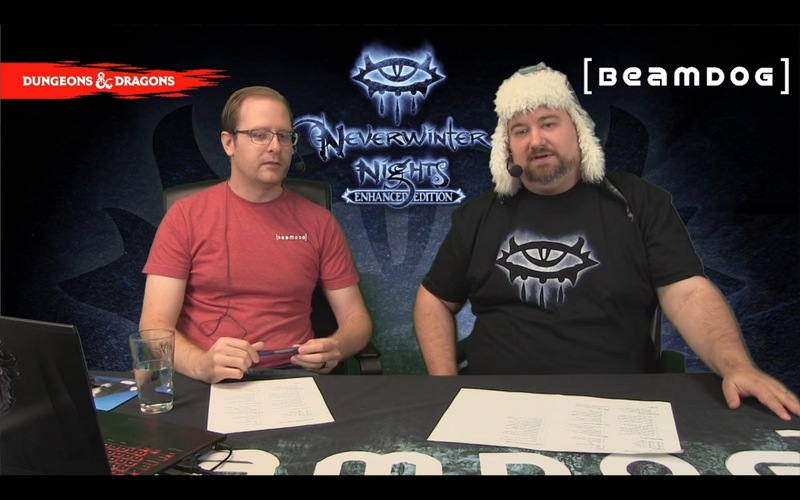 Beamdog CEO, Trent Oster will be revealing some exciting news for Neverwinter Nights: Enhanced Edition. Alongside Beamdog, Wizards of the Coast Senior Producer for Digital Content, John Feil, will be there to lend his perspective on classic D&D games. Beamdog will be giving away two major prizes during their panel. 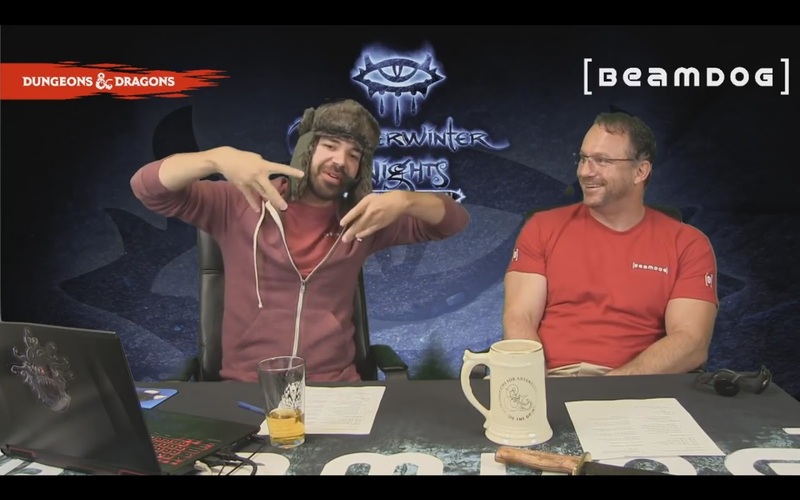 Audience members have a chance to win a Baldur’s Gate style portrait that may make an appearance in the Enhanced Edition family of Beamdog games. One person who asks a question during the panel’s Q&A will be drawn as the winner! Get your questions ready! Watch us online! One viewer on Beamdog’s Twitch livestream of the panel will be selected to win! Watch out for a secret guest on the panel to announce something exciting for the Enhanced Edition family of games. You’ll have to tune in to find out more! 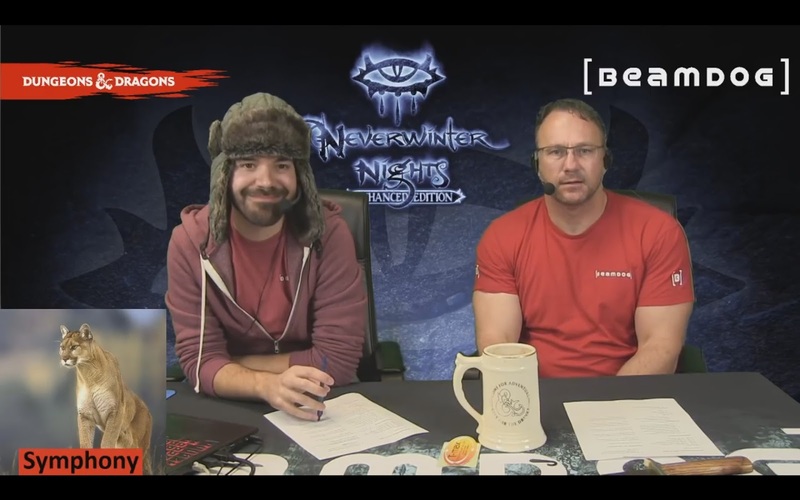 Last week Beamdog CEO Trent Oster and Studio Director Phillip Daigle talked about studio news and updates on Neverwinter Nights: Enhanced Edition, Baldur’s Gate: Enhanced Edition, Baldur’s Gate: Siege of Dragonspear and Icewind Dale: Enhanced Edition. They were joined by Symphony, a prolific Neverwinter Nights modder, for a Skype interview. Beamdog is going to PAX West in less than 2 weeks! Visit our panel at September, 1 at 1pm PT. Not going to PAX? We’ll be streaming the panel live on the Beamdog Twitch and on twitch.tv/PAX2! RSVP to the livestream on the Eventbrite or Facebook events! If you’re local to Edmonton, visit our booth at Edmonton Expo in September! Watch out for a special Baldur’s Gate: Siege of Dragonspear Collector’s Edition sale there! Sign up for our newsletter! If you sign up before August 28, 2018, you’ll enter a draw to win a fantasy portrait of a photo by your choosing! Your Baldur’s Gate style portrait might make it into the Enhanced Edition family of games! We’re still hiring! Come work with us on D&D titles and more! The much-anticipated 2.5 updates for Baldur’s Gate: Enhanced Edition and Baldur’s Gate: Siege of Dragonspear are out! Check out the full patch notes, enjoy the new features, and share your feedback on our forums! The final 2.5 patch for Icewind Dale: Enhanced Edition is released as well! It contains an optional setting which lets you to see an area-of-effect of the spell you’re going to cast! Try it and let us know your thoughts in the forums! The 2.5 updates for BG:EE, BGII:EE, and IWD:EE should come to the Mac App Store this week! We want to give a shout-out to Pete Camagna, our Technical Designer on Infinity Engine games. Thanks for all the work, Pete, you’re an incredible source of energy and positivity! The Neverwinter Nights: Enhanced Edition build for GOG is being tested. Watch out for more news on that front soon! We’ve added Enhanced Greatsword models to the NWN:EE Steam Workshop! 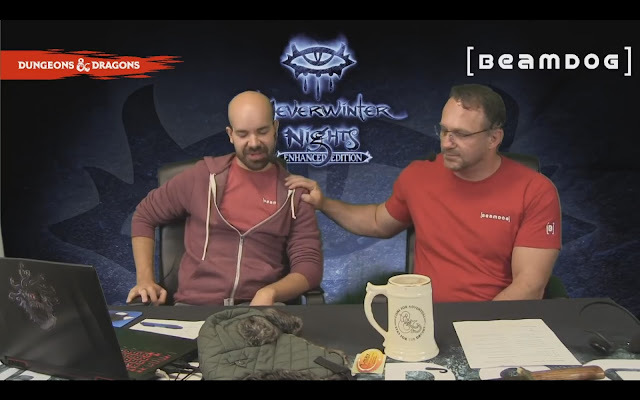 Our live team on Neverwinter Nights: Enhanced Edition is looking at the graphics engine and next-gen features. All our graphics programmers will be sitting down together soon to decide on what we can and cannot do in this regard. The current goal for NWN:EE going forward is to upgrade the graphics engine and update the lighting model. After adding 64-bit support for Neverwinter Nights: Enhanced Edition we plan to continue supporting both 64-bit and 32-bit. 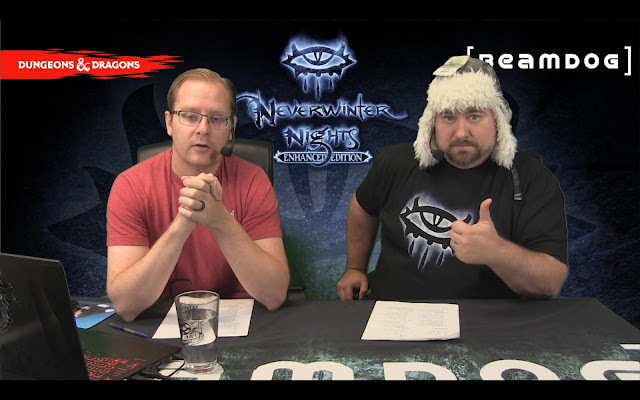 We have an internal ticket for adding achievements to Neverwinter Nights: Enhanced Edition. Our technical artists are looking into what these achievements will be like. The team at Beamdog is continuing to grow! There’re 44 of us at the moment, and will be 45 in September! 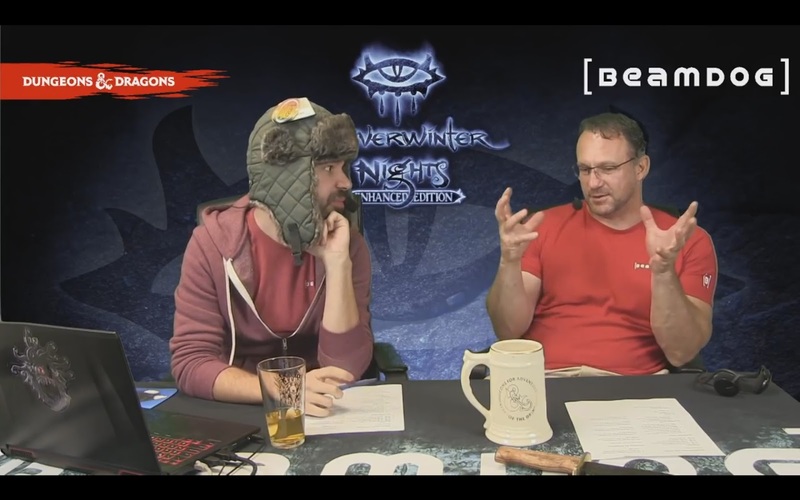 Symphony is one of the most prominent members of the Neverwinter Nights community, a programmer, a modder, and a member of the Advisory Board on Neverwinter Nights: Enhanced Edition. Check out his blog about making skyboxes in NWN:EE better. Symphony is trying to encourage other people doing modding, and according to him creating content for Neverwinter Nights is fairly easy. The NWN Toolset can be a little scary at the first look, but actually playing the game can help players to become experienced on how to work on the Toolset. Symphony agrees that “NWSync” is going to be the biggest change in Neverwinter Nights since Hordes of the Underdark. Everyone will get the same version of files needed to play on a server of your choice. We’re saying farewell to our beloved Studio Director Phil Daigle. He's been with us for 8 incredible years, and has been instrumental in our game development and the Beamdog journey. We’re so grateful for all you gave to us, Phil! We wish you every success on your new adventure! Excited for what’s next? Come and join the next livestream this Friday! Take heart, fellow travelers! We're sending aid to the northernmost reaches of the Forgotten Realms to sustain you in your quests through the harsh and unforgiving territories of Icewind Dale: Enhanced Edition! The update for IWD:EE provides adventurers with features and fixes to light the way as you trek to the deepest recesses of the frozen tundra. Area of Effect spell markers are now available as a prototype. In the iOS multiplayer, the title should not become unresponsive and crash when starting the dictation mode while entering a password protected session.